Bosch Cambodia offers a broad range of products and services to various industries including automotive, building and construction, hydro-power, mining, and manufacturing. The company provides spare parts for passenger and off-highway vehicles as well as services and equipment for workshops. Bosch Cambodia also caters for the building and construction industries with surveillance cameras, industrial boilers, power tools as well as systems in the area of fire detection, access control, public address, conferencing and pro-sound. Moreover, Bosch delivers solutions to drive and control moving parts of industrial machinery. 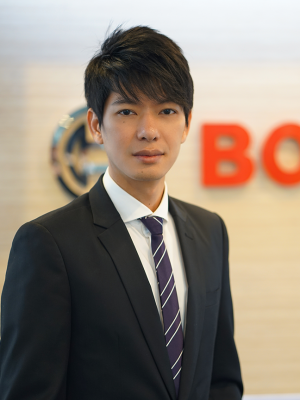 Bosch started its business in Cambodia in January 2010 and is currently represented in the country by Robert Bosch (Cambodia) Co. Ltd. Its business fields in Cambodia comprise of the business sectors such as Automotive Aftermarket, Power Tools, Security Systems, and Drive and Control. In addition to its operations in the country, Bosch has also started initiatives to further develop the skill sets of the local work¬force by providing training and by donating tools and equipment to raise educational standards at vocational schools and non-profit organiza¬tions in the country.